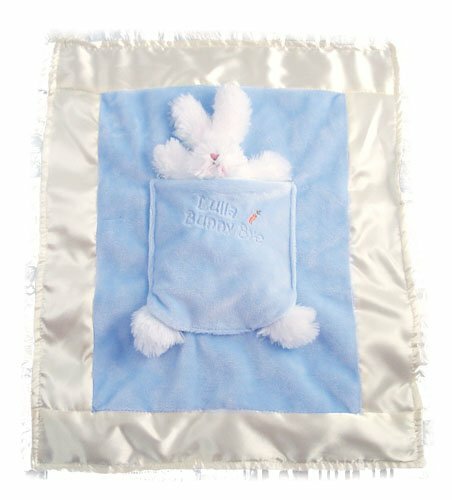 These adorable bunny buddy blankets are universally loved by babies. And because your little one will want to take this buddy everywhere, it's a good idea to buy these by the bunch! 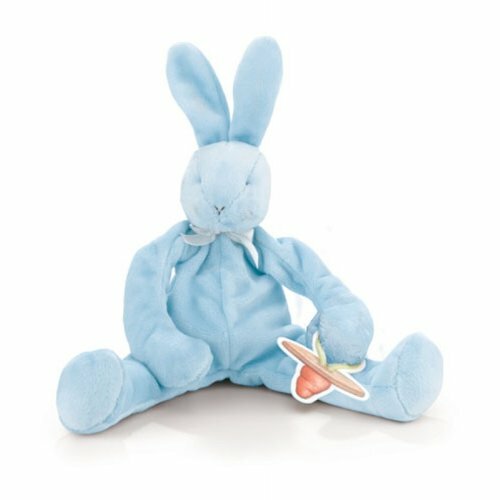 The plush, floppy eared bunny has a snuggly soft blue velour blanket, lined and edged in silky satin. 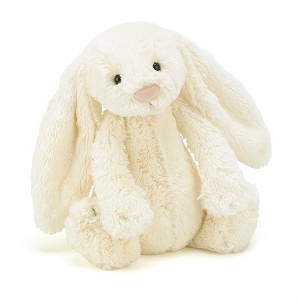 Petit carrots run down the front, and the embroidered message reads, 'Best Friends Indeed'. 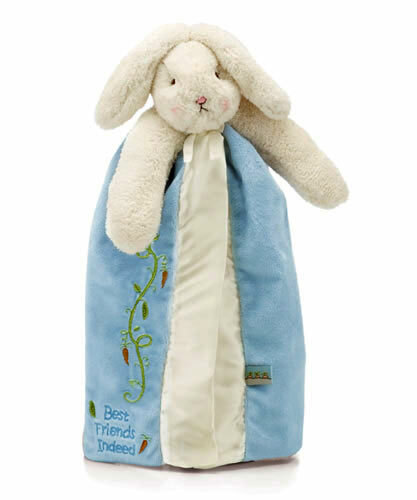 Made by Bunnies by the Bay, this adorable buddy blanket is 16" tall. Washes beautifully, machine wash COLD on Gentle cycle. Tumble dry with NO heat.